The Intel Core i7-8809G is a fast quad-core processor for notebooks based on the Kaby Lake architecture and was announced in January 2018. similar to the Intel Xeon E3-1535M v6 it integrates four processor cores clocked at 3.1 - 4.2 GHz. As a speciality the package also contains a Vega based graphics card from AMD (with 24 CUs = 1536 shaders at 1190 MHz) and 4 GB HBM2 graphics memory. The CPU is still produced in 14nm as the i7-7920HQ. Compared to the i7-7920HQ, the i7-8809G should be slightly faster due to the HBM2 memory, 100 MHz higher Boost clock and the 100 Watt TDP. The performance is therefore sufficient even for very demanding tasks and on par with powerful desktop quad-core processors. In addition to the Intel HD Graphics 630 in the CPU die, the Core i7-8809G also offers an AMD Radeon RX Vega M GH graphics card with 24 Cus and therefore more than double the amount of the current Ryzen APUs (e.g. Ryzen 7 2700 with 10 CUs). Contrary to Skylake, Kaby Lake now supports hardware decoding for H.265/HEVC Main 10 with a 10-bit color depth as well as Google's VP9 codec. The 8809G should also support HDCP 2.2, but for HDMI 2.0, it most likely needs a converter from DisplayPort. The CPU chip is manufactured in an improved 14nm process with FinFET transistors. It is rated at a TDP of around 100 Watt and therefore is only suited for laptops with good cooling solutions. Compared to laptops with Core i7-H quad cores and dedicated graphics cards, the i7-8809G based models can be built with smaller chassis. The Intel Core i7-8705G is a fast quad-core processor for notebooks based on the Kaby Lake architecture and was announced in January 2018. similar to the Core i7-7920HQ it integrates four processor cores clocked at 3.1 - 4.1 GHz. As a speciality the package also contains a Vega based graphics card from AMD (rumors speak of 20 CUs = 1,280 shaders at 1011 MHz) and 4 GB HBM2 graphics memory. The CPU is still produced in 14nm as the i7-7920HQ. Similar to the Core i7-8706G, but without vPro support. 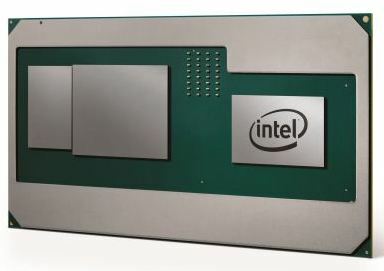 Compared to the high-end Kaby Lake-G models, the i7-8705G only features 20 instead of 24 CUs for the Vega GPU and a lower TDP of 65 versus 100 Watt. Compared to the i7-7920HQ, the i7-8705G should be slightly faster due to the HBM2 memory and the 65 Watt TDP. The performance is therefore sufficient even for very demanding tasks and on par with powerful desktop quad-core processors. 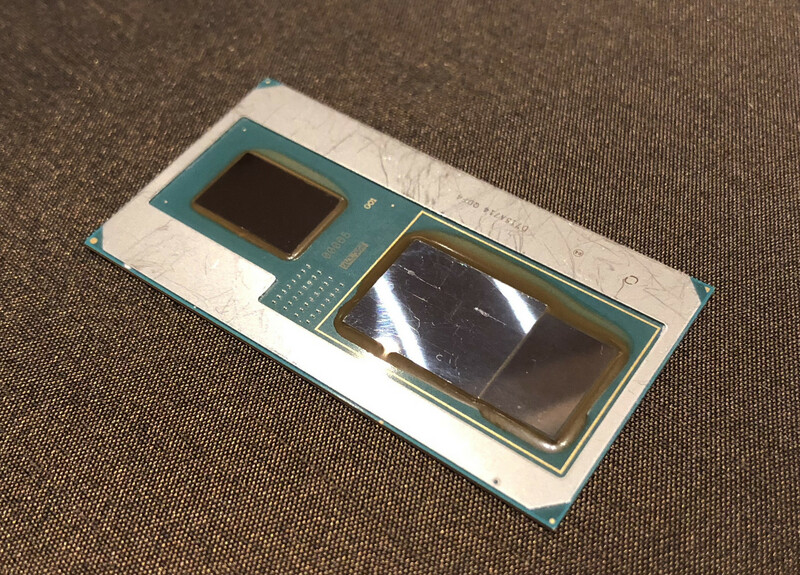 In addition to the Intel HD Graphics 630 in the CPU die, the Core i7-8809G also offers an AMD Radeon RX Vega M GL graphics card with 20 CUs and therefore double the amount of the current mobile Ryzen APUs (e.g. Ryzen 7 2700 with 10 CUs) but 4 less than the Vega M GH of the high end models. The CPU chip is manufactured in an improved 14nm process with FinFET transistors. It is rated at a TDP of around 65 Watt and therefore is only suited for laptops with good cooling solutions. Compared to laptops with Core i7-H quad cores and dedicated graphics cards, the i7-8705G based models can be built with smaller chassis.